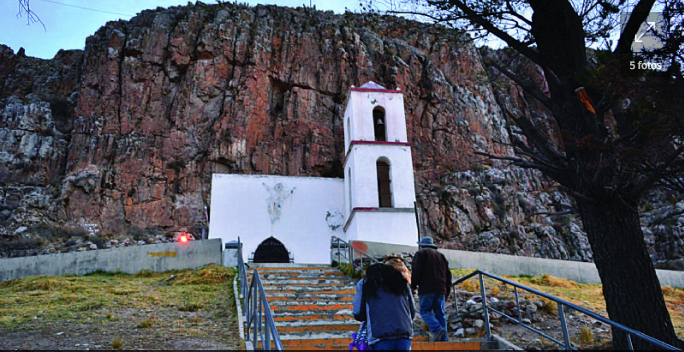 The chapel of Cerro Torrejaque preserves the image of the Cristo del Gran Poder on a rock that has been transformed into an altar. A small chapel embedded in the Torrejaque hill hosts the Cristo del Gran Poder, the patron saint of Pazña. His image on a stone-a miraculous apparition, according to his followers-reigns from the top of the rock on which they built an altar. 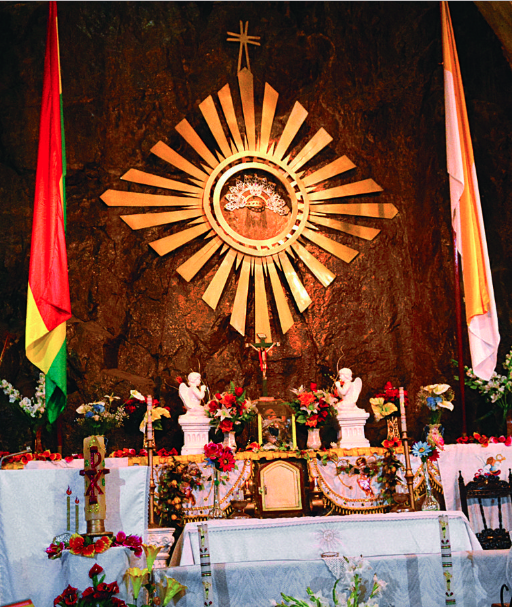 Folkloric fraternities arrive to this sanctuary in the municipality of Oruro every September 13 and 14 to participate in one of the largest religious entrances in the region. At the foot of the mountain, devotees set up a party with large stages to thank the favors received from the Christ of the rock. The altar is the rock of Torrejaque that houses the image. “The elderly say that back in the 1920s, two children – Elías and Juvenal – went out to hunt and saw a white dove that landed on the cliff and disappeared. They approached to see what had happened and noticed a face on the stone. Incredulous, one of the boys scratched the image and unintentionally damaged it. That same night he fell ill until he died,” says Naya Gonzales, responsible for tourism in the municipality of Pazña. The tombstone of Heredia, in honor of his promise fulfilled. The temple of that mythical image is attached to the hill. 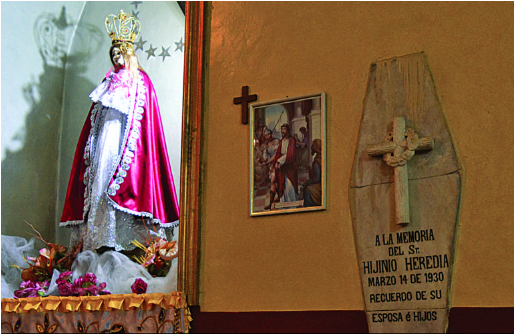 There is also the tomb of Hijinio Heredia, a resident who is a character of the legend. 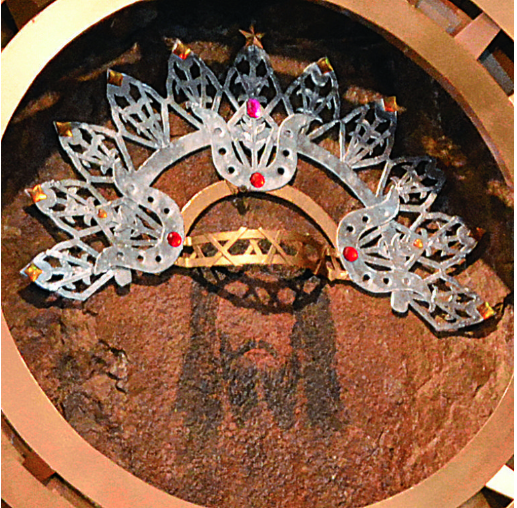 “The next morning Hijinio gathered all the villagers to convince them that they should build a temple, because the face of the Lord of the rock was that of the Christ of the Great Power,” says Gonzales. With much effort, the inhabitants of Pazña built a chapel that accommodated to the mountain. Without touching the site of the apparition they erected a temple around the image, using the same boulder as the altar. His remains were buried at the foot of the image. As a reminder, his wife and children left in the Chapel of Torrejaque a tombstone that until today is visited by his descendants. It is said that the Lord of the rock is very miraculous, like everything that grows around him. That’s why hundreds of people visit the church and also the hot springs that flow nearby in search of healing. 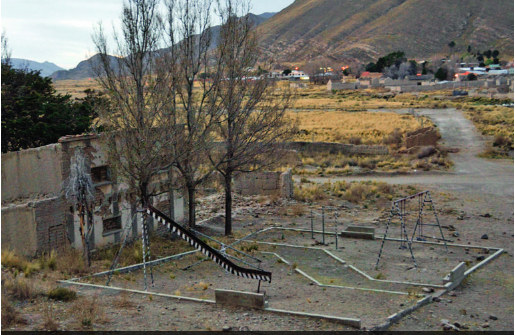 Pazña is part of the tourist circuit Los Caminos del Tío promoted by the Commonwealth of Municipalities of Oruro and the state BOLTUR. More information about upcoming departures, on WhatsApp at 60618374 or at 77710996. The Chapel of Torrejaque is a patrimony of Pazña.